Jewish Home MK blasts Chief of Staff's order to boycott the Chief Rabbi: Appears to be illegal. Deputy Knesset Speaker MK Bezalel Smotrich (Jewish Home) reacted on Sunday evening to Arutz Sheva’s publication that IDF Chief of Staff Gadi Eizenkot ordered the cancellation of a meeting scheduled for Monday between the Chief Rabbi of Israel, Rabbi Yitzhak Yosef, and the Chief Rabbi of the IDF, Rabbi Eyal Karim. “The Chief of Staff ordering the Chief Rabbi of the IDF to cancel a meeting with the Chief Rabbi of Israel is very serious and on the surface appears to be illegal. 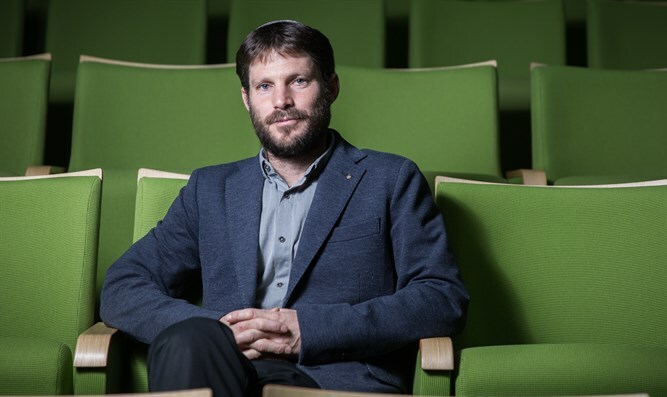 According to the law, the Chief Rabbi of the IDF is a member of the Chief Rabbinate Council, headed by the Chief Rabbi, so they are supposed to meet and work together," Smotrich tweeted. "The politics of the Defense Minister and the orders of the Chief of Staff cannot be above the law. I call on the Chief of Staff to regain his composure,” he added. Eizenkot’s order came after Rabbi Yosef backed comments by Tzfat Chief Rabbi Shmuel Eliyahu criticizing the army’s plans to expand the number of mixed-gender combat units in the IDF. Senior defense officials decided to boycott the Chief Rabbi following his endorsement of Rabbi Shmuel Eliyahu’s comments, with Defense Minister Avigdor Liberman (Yisrael Beytenu) announcing over the weekend the cancellation of a series of army ceremonies Rabbi Yosef had been invited to in his capacity as Chief Rabbi. Last week, Rabbi Eliyahu called for Eizenkot’s dismissal, blaming him for the decline in motivation among IDF draftees to enlist in combat units.